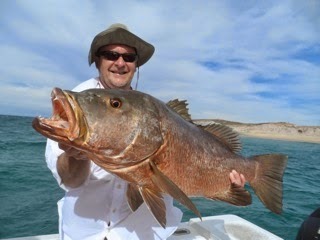 Rich wanted me to tell the world, Matts snapper was so big that it looks like he blew out a hemorrhoid. 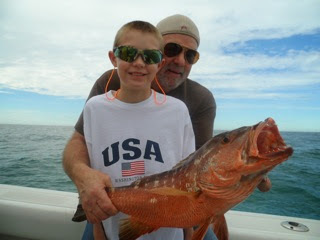 Todd Tyler and his sone Cole... How much fun is it taking your boy fishing.. 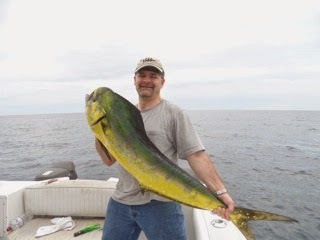 They are all fun on the fly.. Mike is one cool guy and loves to fish. 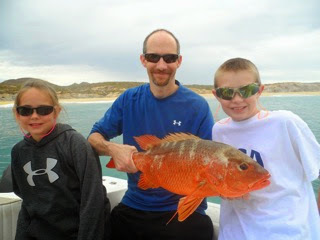 Fwd: John Cargeeg with Steve And Chantel Some roosters anyone! 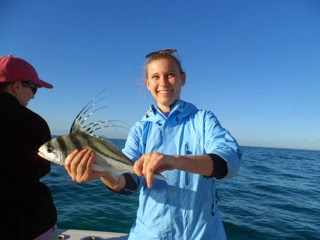 Steve Morel And Chantel Cargeeg Catch those roosterfish guys! 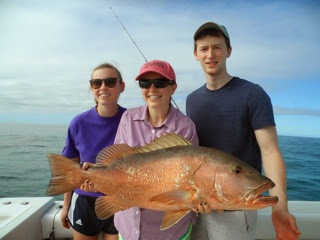 Bill Chitwood and family, catching fish and having fun. 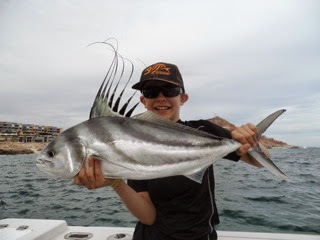 There have been lots to see on our fishing days, with Humpback whales breaching all over the place, as well as Turtles basking in the sun and even Sea Lions laying on the rocks..
the weather was cloudy yesterday, but its back to normal with beautiful clear sunny skies, with no wind. 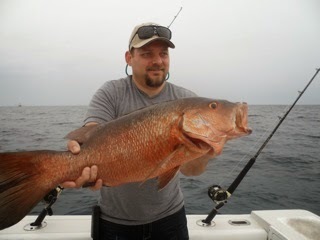 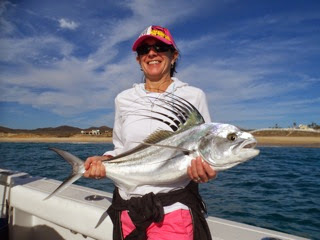 It should get close to 80 degrees outside today... No rubbing it in, but I have been seeing lots of cold weather all over the US, looks like its time for you to come down to Cabo and enjoy our warm sunny climate..
Its been tons of fun fishing inshore the last week or so. 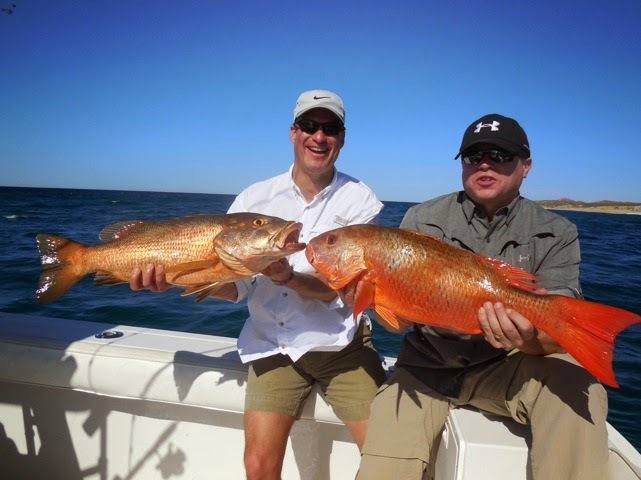 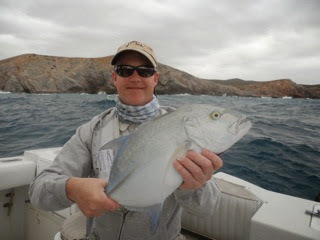 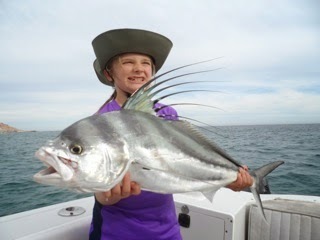 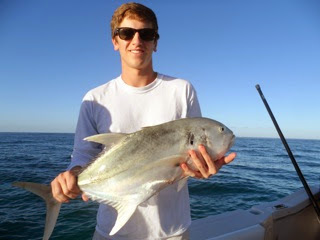 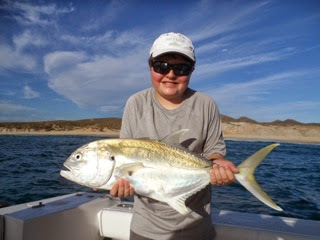 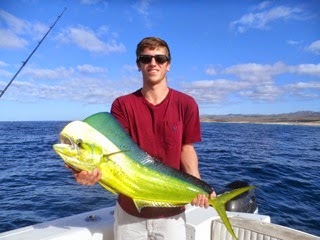 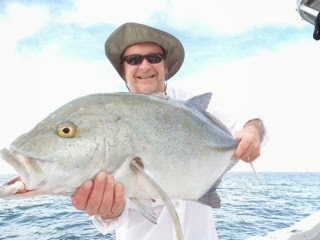 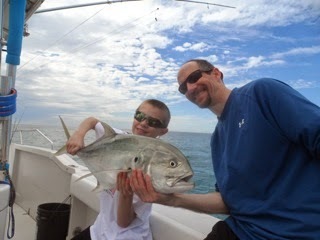 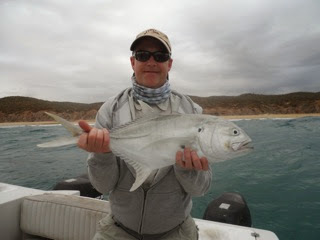 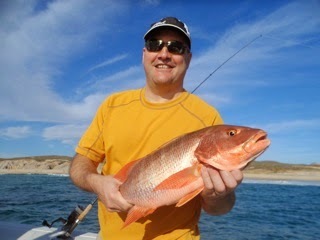 we are catching roosterfish, jacks, sierra mackerel and cubera and colorado snappers on fly and light spinning. 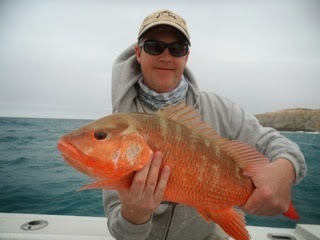 Lots of variety and action. 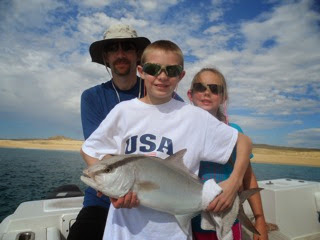 We love it when the fish are happy. 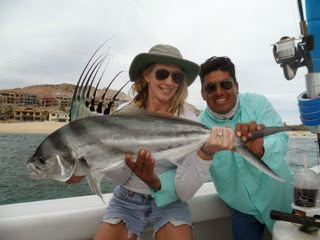 Some marlin and dorado around, but they have been closed mouthed lately. 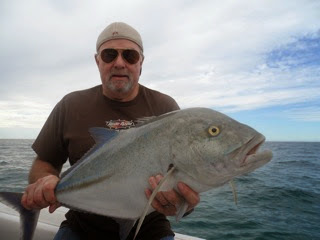 Hopefully the moon thing will turn in the bite in the next few days. 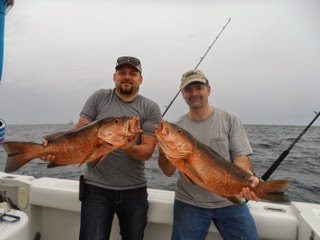 The Talyers with some fun rooster action Dec 31st..
Matt Schooler Blue fin Travelle and big snapper Dec 31st...What a way to end the year. 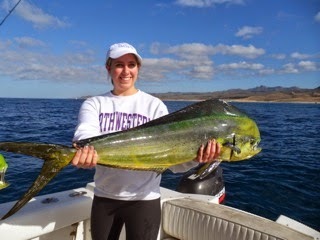 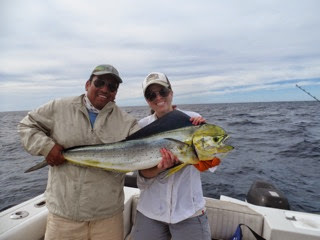 Christina, Henry and Sara with some nice dorado they caught during Christmas week.